Reprint. Originally published: London: Secker & Warburg, 1976. 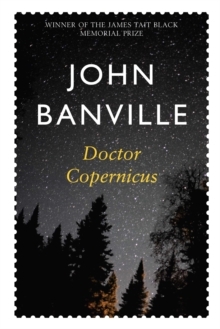 `Banville is superb . . . there are not many historical novels of which it can be said that they illuminate both the time that forms their subject matter and the time in which they are read: Doctor Copernicus is among the very best of them' The EconomistThe first in John Banville Revolutions Trilogy and winner of the James Tait Black Memorial Prize, Doctor Copernicus is a rich historical novel that explores the life of one of history's greatest scientists. The work of Nicholas Koppernigk, better known as Copernicus, shattered the medieval view of the universe and led to the formulation of the image of the solar system we know today. Here his life is powerfully evoked in a novel that offers a vivid portrait of a man of painful reticence, haunted by a malevolent brother and baffled by the conspiracies that rage around him and his ideas while he searches for the secret of life.